Step 1. Plugin your iPhone or iPad in to your computer. When prompted by iTunes, ignore it. Better close it. Step 2. Open Absinthe or redsn0w. --for Absinthe, Jailbreak button will automatically be enabled once your device gets detected. Click it. 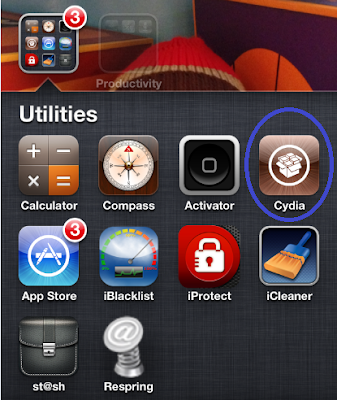 --for redsn0w, click Jailbreak button and then click Next on the next window. Step 3. For redsn0w, follow the instruction on next screen to enter the DFU (Device Firmware Upgrade) mode as shown below. Step 4. Wait for your device to reboot. If all are successful. You should have a jailbroken device. Go to Cydia store and start downloading cool apps.